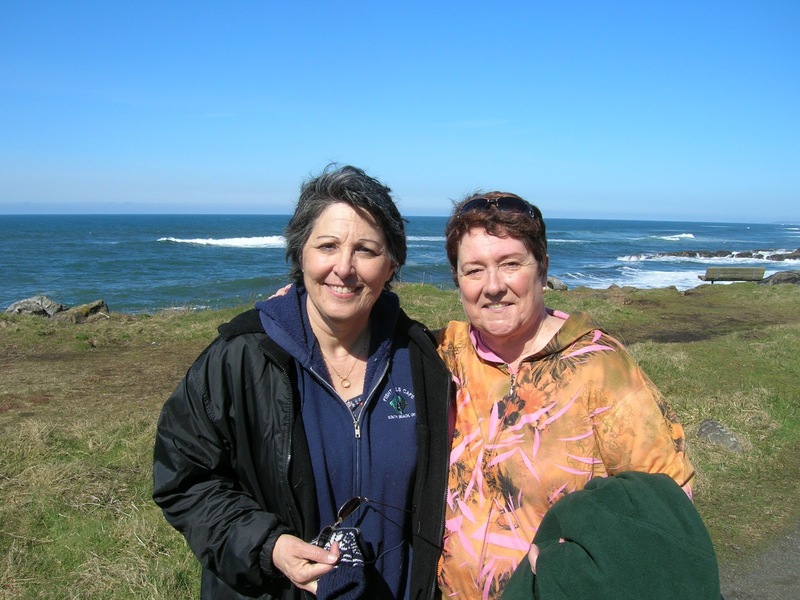 For my birthday last weekend, my friend Pat offered to take me hiking on her new favorite trail, the 804 Trail in Yachats before having lunch at the Drift Inn. I’ve been there before and would never turn down a chance to walk the 804. When we arrived at Smelt Sands Recreation Area, where one accesses the trail, the place was packed with cars and people. Pat asked a nearby ranger what was going on and found out it was the dedication of a memorial for two high school seniors from Eugene who died there in February 2011. They were goofing around on the rocks when a sneaker wave caught them and washed them into the wild surf. 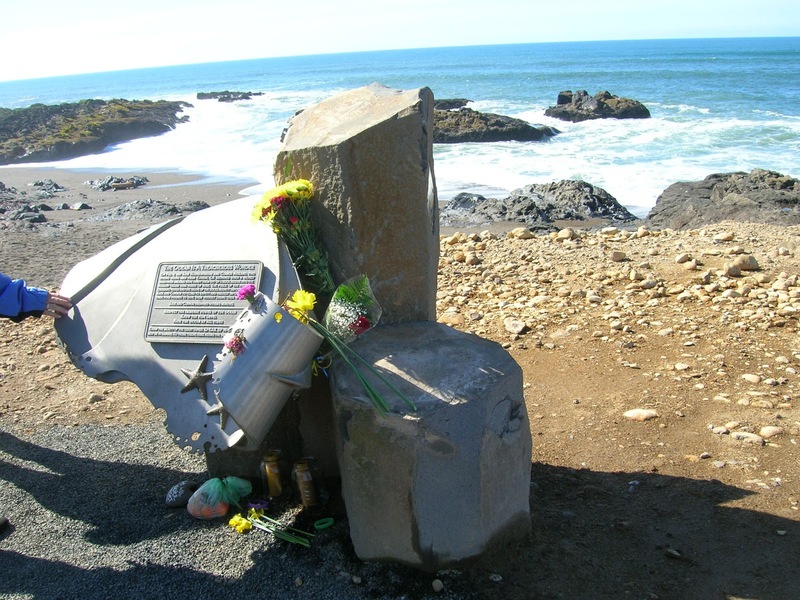 According to the plaque on the memorial, they could not escape the waves and died within three minutes while their classmates watched in horror. It’s easy to see the danger. As we walked and took pictures of each other and the waves, the surf crashed against the rocks with loud booms and sprays that went up 20, maybe 30, feet in the air. With the rocks, the sea and the blue sky for background, it’s just beautiful. But it’s also dangerous. Even as loved ones in black suits honored their dead with flowers and speeches and a new monument, other young people walked on the rocks near where the waves were breaking. Signs everywhere warn about the dangers of high surf and sneaker waves, but somehow we all have this feeling it can’t happen to us. It can. Ask the families and friends of Connor Ausland and Jack Harnsongkram. Stay on the trail and don’t turn your back on the ocean. If you use common sense, the 804 Trail is a fabulous place to walk. The trail, mostly paved and flat, winds along the rocks and through the trees and ultimately comes out at a long sandy beach. Lots of people walk it, many with dogs, and it’s a great place for taking pictures. Why is it called “804?” This trail is thought to have started as a footpath for tribal people. Later it became County Road 804, from which the trail got its name. 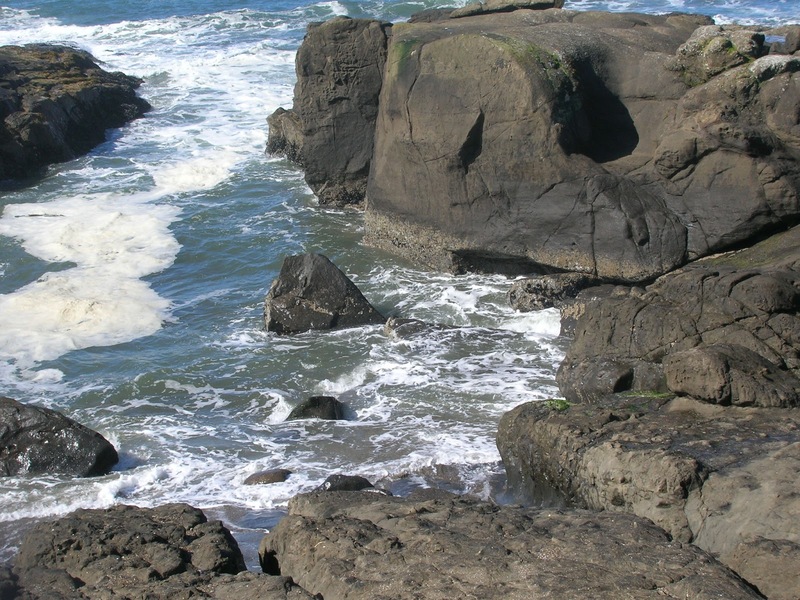 Local advocates spent years battling with local governments and property owners before the whole trail from the Yachats River to the beach was finally opened to the public in the late 1990s. You can access it now off Highway 101 from either Smelt Sands or from Yachats State Park. It’s easy walking, and most of it is wheelchair accessible. Bring your camera and please stay off the rocks. Invigorated by our walk, Pat and I pigged out at the Drift Inn, a favorite local eatery. I was already stuffed with crab and avocado pizza when our waiter brought a huge bowl of marionberry cobbler topped with vanilla bean ice cream and a candle. As he and Pat sang “Happy Birthday,” I couldn’t think of anything to wish for because I had everything I wanted at that moment. It was a great birthday, and I thank everyone for their good wishes. Even the weather was kind to me on March 9. The next day, the rain returned, but that’s okay. Another birthday survived.